When you think of a pool cover, what do you picture? What’s the purpose of a pool cover? Maybe you’ve never actually thought about the need to cover your pool. If you’re a new pool owner, though, it’s definitely something you need to think about. 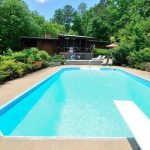 Whatever comes to mind when you think about a pool cover, you may be surprised to know that there are actually 3 distinct types of pool covers, each with its own primary purpose. Pool cover installation is also an important part of your pool cover choice, and we’ll discuss that issue here, too. 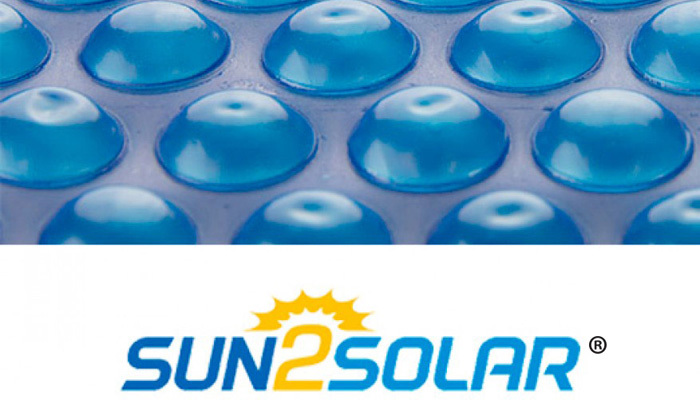 From safety pool covers to solar pool covers and winter pool covers, each type is especially designed with its purpose in view. 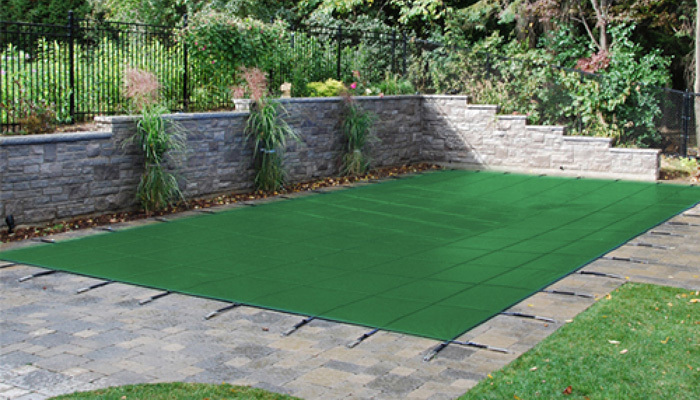 The first (and arguably most important) type of pool cover is a safety pool cover. The main purpose of such a cover is to prevent someone from accidentally entering a pool. 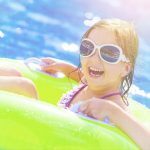 This is particularly important in case young children are without supervision, but it can prevent accidental drowning by adults as well. Within the safety pool category, there are two distinct types: closed and open. The closed style will stretch across a pool. Snow or water can collect on top of it, making it necessary to pump off the precipitation. The open style is made of mesh, allowing water to trickle through it. We’ll discuss safety pool covers in more detail in a future blog post. 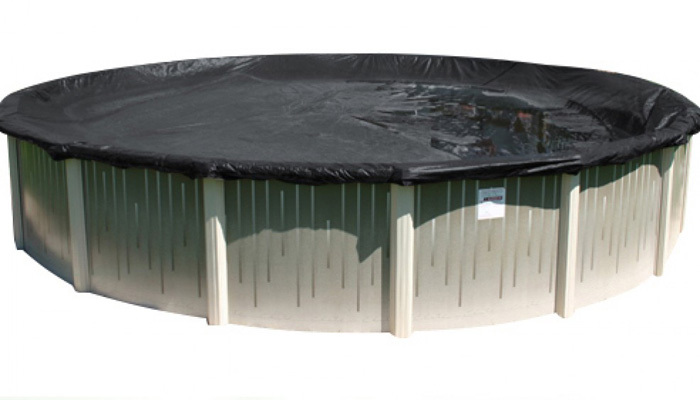 The third cover type, winter pool covers, are extremely durable. Also doubling as a safety cover, their primary aim is to keep debris out of the pool during the off-season. Because they’re intended for use during harsher weather, winter covers are extremely durable. Even if you don’t feel like you need a safety pool cover or a solar pool cover, you will definitely need a winter pool cover to protect your pool during the off season. It’s highly recommended that you hire a pool professional to help you select the right pool cover and install it properly. Before deciding on an installation company, make sure to get multiple estimates. Be ready to discuss the type of pool cover you desire and any concerns you have. When you get the right cover and make sure it’s properly installed, you’ll benefit by extending the life of your swimming pool and, by extension, your ability to enjoy it. I really liked it when you talked about the solar pool cover and how it is made to keep the debris out of the swimming pool, maintain the proper water temperature, and act as a safety cover. I think the last part will get my mom’s attention the most. After all, there are kids in the house, and we want to prevent them from falling into the pool accidentally. It might be best that we consider this type for the pool cover, but I will still let her decide. Thank you.